Unity, Source 2, Unreal Engine 4, or CryENGINE - Which Game Engine Should I Choose? If you want to develop and release your own game out into the world, there are a few very important things to consider before starting on this journey. There are several free game engines out there that have the features you need to create your game, but the question is which one should you choose? To help you decide, we've given you a run down of four of the most powerful engines out there so you can compare and see which one fits your needs. Over the past several years there have been many powerful game engines released to the public, giving the chance for aspiring independent developers to create the game they've always had in their minds. The most popular game engines are Unity, Unreal Engine 4 and CryENGINE. All three of these are extremely powerful game engines and each one has their strong areas. In order to help determine which one works best for your project, you need to ask yourself what type of game you plan on making. Is it a first-person shooter (FPS)? A mobile game? Is it going to be 2D or 3D? If you're planning on releasing this game and selling it for any amount of money, you need to weigh the different licensing fees for each engine to determine which best fits in your budget. While these four engines are relatively cheap, as soon as you are ready to sell your game there are licensing fees, royalties, or both that you must pay. During GDC 2015 Valve had several big announcements, and probably the biggest one in the gaming community was the Source 2 engine announcement. Source 2 is the successor to the Source engine used in Valves most popular games like Counter-Strike: Source, Half-Life 2 and a slew of other games. Source 2 has been highly anticipated for several years as game developers eagerly awaited the next-gen game engine in Valve's toolbox. During the press conference Valve's Jay Stelly said, "We will be making Source 2 available for free to content developers. This combined with recent announcements by Epic and Unity will help continue the PCs dominance as the premiere content authoring platform.” It's apparent that Valve is ready to join in the game engine race with Epic and Unity and provide even more options to game developers. However, it's still unclear as to what "free to content developers" actually means, is that just to established developers or does anybody fall under "content developer"? As for any specific release date Valve has not released any information, all that has been made available is that Source 2 is coming in the near future. Jay Stelly also stated, "With Source 2, our focus is increasing creator productivity. Given how important user generated content is becoming, Source 2 is designed not for just the professional developer, but enabling gamers themselves to participate in the creation and development of their favorite games,” This comment would suggest that not only is Source 2 going to be a game engine for the professional development studio but it will also aide the hobbyists and the modders that have made many of the Valve games so popular. 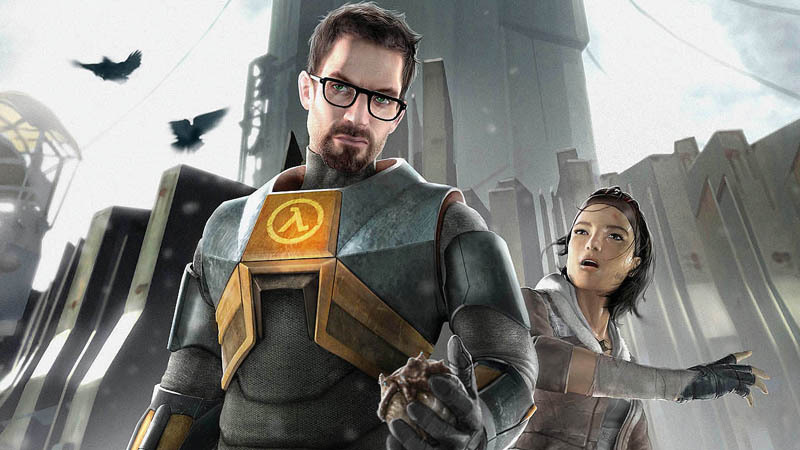 We've reached out to Valve to get any further information on Source 2, and this article will be updated as soon as we learn anymore about the upcoming game engine. One thing is for certain, Source 2 is going to be a strong contender against the heavyweights like Unity and Unreal Engine 4, and as Jay Stelly suggested, Source 2 is going to be free as well. 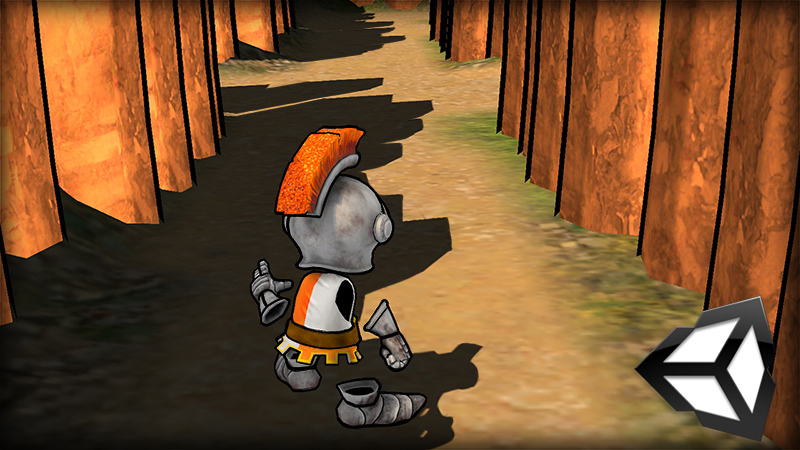 Unity game engine offers a vast array of features and a fairly easy to grasp interface. Its bread and butter is cross-platform integration, meaning games can be quickly and easily ported onto Android, iOS, Windows Phone 8, and BlackBerry, making it a great game engine for the development of mobile games. It also has the capabilities of development for consoles. However, if you're a new developer there is a lot more that goes into console development, because you are required to gain access to console SDKs which new developers will likely not be able to do. The game engine supports assets from major 3D applications like 3ds Max, Maya, Softimage, CINEMA 4D, Blender and more, meaning there is no real restrictions to the type of file formats that it supports. With the recent release of Unity 4.3 it also has native 2D capabilities, supporting sprites and 2D physics, making it a great game engine to use for the development of 2D games. While the engine supports integration of just about any 3D application, it does, however, suffer in the amount of editing capabilities inside the engine editor. Unity has no real modeling or building features outside of a few primitive shapes so everything will need to be created in a third party 3D application. It does, however, boast a large asset library where a wide variety of assets can be downloaded or purchased (pricing is determined by the asset author). There are a few different licensing fees for Unity. The first one is the Pro version of Unity, which is $1,500 or $75/monthly per seat and per platform at the time this post was written. Unity 5 Personal Edition which is free includes many of the same features as the Professional Edition, including Profiler, Physically-based shading, Reflection Probes and more. However, in order to qualify for the Unity 5 Personal Edition you must be a small studio that earns less than $100,000 a year, and funding under $100,000. To get a more detailed look at their licensing plans visit the Unity pricing page. As an aspiring game developer this caveat will not pose any problem to you, so the free Unity 5 Personal Edition will likely be all you need. 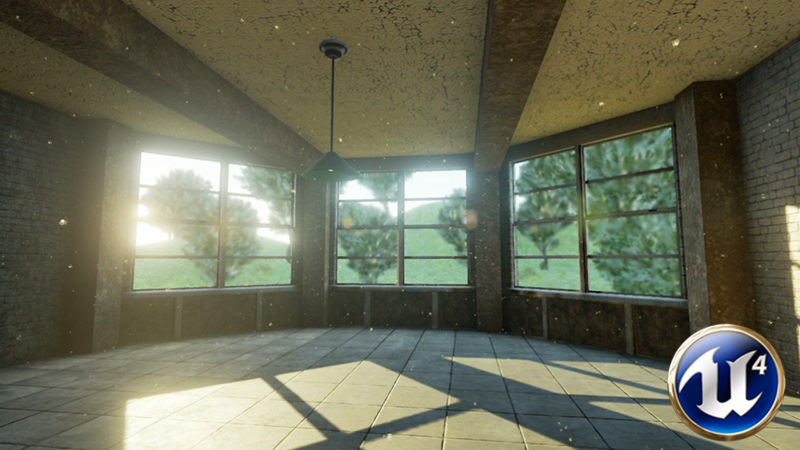 Unity is a game engine that is often associated with mobile games, but with the release of Unity 5 and the new render system there has been a huge increase in the graphical capabilities of the engine including things like Physically Based Shading, real-time Global Illumination and HDR Reflection Probes among many other improvements. It's evident they are joining the next-gen game engine war between UE4 and CryENGINE and with 64-bit support and WebGL Unity 5 offers some excellent features that make it a strong contender among the game engines. Unreal Engine 4 (UE4) is the brand new engine released from Epic Games and it's the successor to UDK. UE4 has some amazing graphical abilities including things like advanced dynamic lighting capabilities and a new particle system which can handle up to a million particles in a scene at one time. As a 3D and game artist you might be salivating at the idea. While Unreal Engine 4 is the successor of UDK it's important to keep in mind that there have been some very drastic changes to the engine. If you have any experience in UDK there is definitely going to be a bit of a learning curve as you adapt to this new engine. These changes are not bad though, and UE4's ease of use makes it that much more appealing for new game developers. A notable change has been in the scripting language for UE4. As you might already know, Unreal Engine has always run of off UnrealScript. Well, UnrealScript has now been completely replaced by C++ in UE4, and Kismet has been replaced by the more intuitive Blueprint system. An important thing to keep in mind is that if you want to make a game for previous generation consoles then you just won't have that ability with UE4. As of right now, UE4 games can be released on PC, Mac, iOS, Android, Xbox One and PlayStation 4. Being able to release on phones as well as next-gen consoles gives you the ability to create games with breathtaking graphics or simple side scrollers, the choice is yours. As mentioned previously, basing your decision off of whether or not the engine can release on next-gen consoles is not important especially for aspiring developers because a separate license and SDK is required for each console and you must have a proven track record of releases to acquire a dev kit. So mobile and PC platforms will be the more common route for new developers. Unreal Engine 4 recently switched from $19/month with a 5% royalty whenever you ship your title, to completely free with no subscription fee. This obviously makes it extremely accessible to anyone who wants to begin making games. Of course, the 5% royalty still applies, but with a pricing structure like that it really opens up a lot of doors for aspiring game developers! You are required to pay a 5% royalty if you earn $3,000 per quarter per game. So if you have four games that only earn $2,500 per quarter each you wouldn't have to pay royalties. To learn more about Unreal Engine 4 read our in-depth post. And get started with the Introduction to Unreal Engine 4 tutorial. CryENGINE is an extremely powerful engine designed by the development company Crytek that was introduced in the first Far Cry game. It is designed to be used on PC platforms and consoles, including PlayStation 4 and Xbox One. The graphical capabilities of CryENGINE surpass those of Unity and UDK but are on par with Unreal Engine 4, with state-of-the-art lighting, realistic physics, advanced animation systems and much more. The most recent game that utilized CryENGINE in its development was Ryse: Son of Rome. 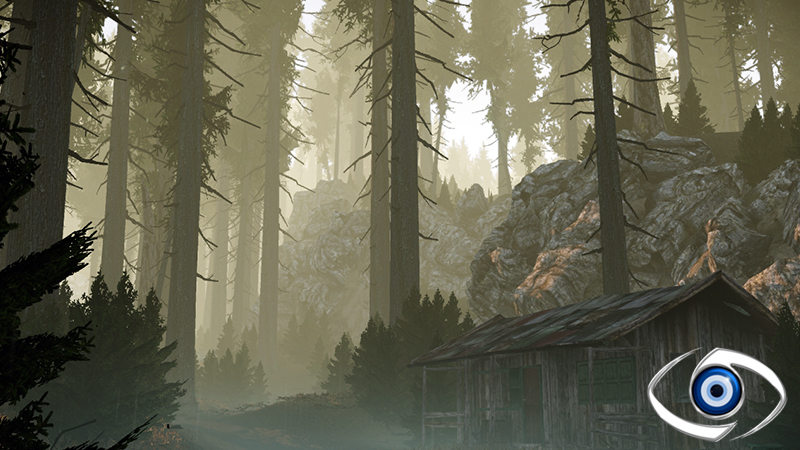 Similar to UDK and UE4 CryENGINE has intuitive and powerful level design features in the game engine. While CryENGINE is an extremely powerful game engine, it does however take a bit of a learning curve to start using the game engine productively, and can be harder to grasp if you don't have any other game engine experience. If you don't need your game to compete graphically with games like Crysis 3 or Ryse: Son of Rome then it may be better to choose something more user friendly. CryENGINE has a slightly different pricing model than the other game engines. To gain access to CryENGINE you need to pay $9.90/monthly. While it's not completely free like UE4 or Unity 5, it doesn't require any royalty fee, so $9.90 is all you ever have to pay to Crytek. Depending on the size of your studio and team, not having to a pay royalties can be a huge benefit. To learn more about CryENGINE and it's pricing plans visit their page. So what's right for me? All of these game engines would be a great choice for your game development process. Unity is great for mobile, 2D and 3D games. Unreal Engine 4 gives you the ability to create games with photorealistic graphics or simple 2D side scrollers with a reasonable pricing model of a 5% royalty, and CryENGINE has amazing graphical capabilities as well, and next-gen platform features with a pricing model that can be more appealing than UE4's depending on your studio. It’s ultimately up to you to decide which one works best for your project. One thing is certain; there is not a shortage of game engines at your disposal. This post should help you decide and let you focus on the fun part: creating your game. If you're still not certain, play around with all of them and see which one you are most comfortable with. Check out the courses below to get a strong foundation in each game engine and explore more Unity tutorials, Unreal Engine 4 tutorials and CryENGINE tutorials.